With all the food stalls and new companies sprouting like mushrooms in the country nowadays, it's easy to get lost in the sea of commercialized and seemingly bland food products out there. 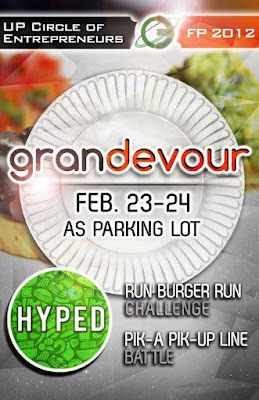 So if you're still in the search for something new, then maybe the Grandevour Food Bazaar in UP Diliman could impress your pseudo-connoisseur self. 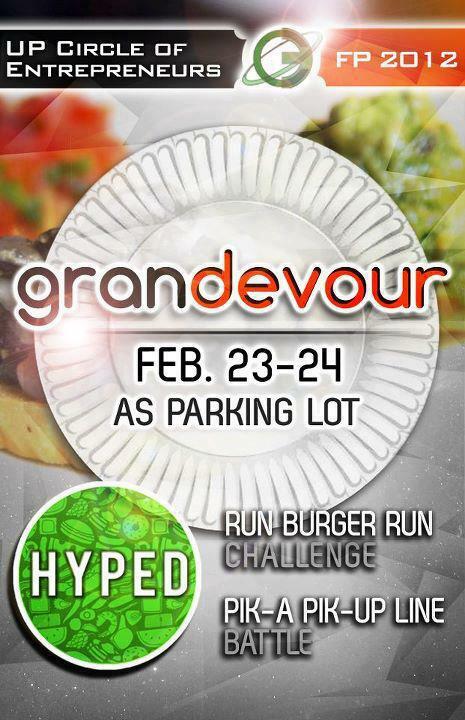 As if satisfying our food cravings is not enough, the two-day event will end with their Run Burger Run Challenge, as well as the Pik-A Pickup Line Challenge. I've always associated Uratex with furniture, plastic, upholstery, and good quality foam and mattresses such as the ones each bed in our house have. The company has been constantly producing products that meet the standards of many people when it comes to durability and versatility that it has become a household name for many years. 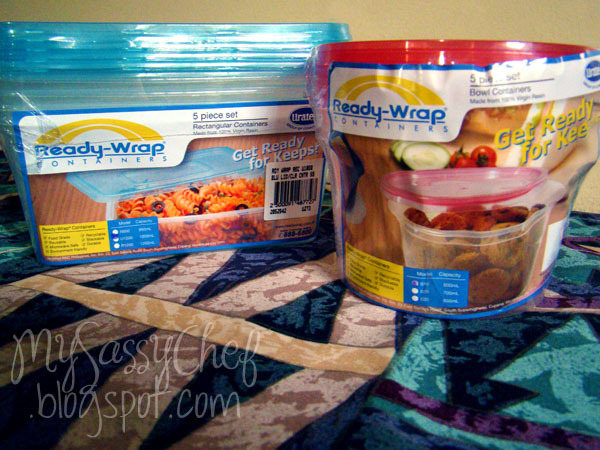 When I received the products to review last week, the first thing I thought was exactly how does Ready-Wrap differ from all the other microwave-safe disposable containers out there. We have been using them as food storage in our home for so long, that I never even bothered to scrutinize the brands when buying them to replace cracked or damaged ones. Upon closer look and a bit of comparing side by side with the ones we already have, Ready-Wrap is thicker to touch. But it would have to be better than that to impress me. What really won me over was that when I reheated our leftover menudo directly from the freezer to the microwave on high, the plastic didn't crack. I've had that happen a few times before when I'm in a rush to reheat things, but I really didn't mind because they are disposable anyway. Although when you think about it, the dump doesn't really need the additional plastic. Ready-Wrap's durability lessens throw-aways and somehow helps the environment. Ready-Wrap also has a Party Pack that comes in a box of 12 assorted containers, inclusive of two of the following: 500-mL drinking cups, 350-mL and 450-mL bowls with raised bases, 500-mL and 750-mL rectangular clear containers, and the large 1600-mL opaque white freezer-proof food containers. What's even better is that these products are food grade, and are definitely safe to use as they are made from polypropylene. It's an environmentally-friendly plastic that can withstand physical pressure, and is highly resistant of heat and chemicals. Adding to the green qualities of this product is that it is CFC-free and is completely recyclable. Ready-Wrap containers are stylish with many lid colors, and are designed to be compact and stackable to keep things organized. 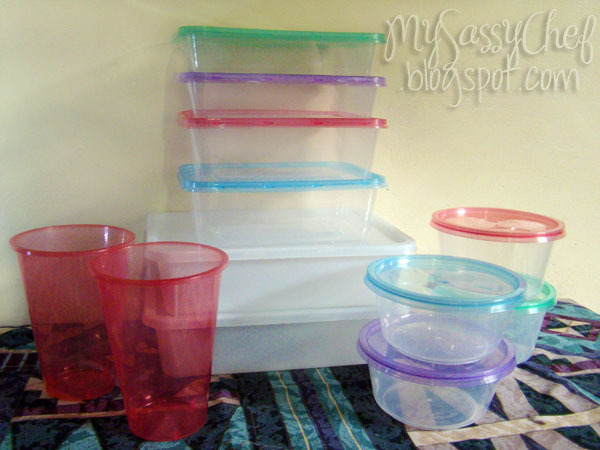 These microwave-safe food containers are great for storing leftover food, snacks, dry goods, and even fresh produce, and they can keep food fresh for a longer time. 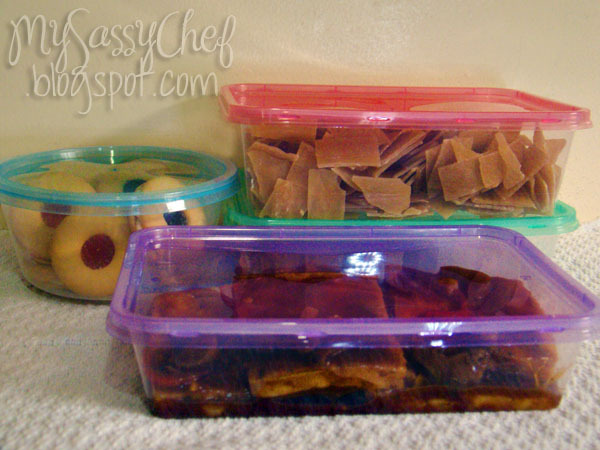 I used the largest container to store my marinated chicken tocino laden with lots of garlic last Saturday, and after washing, I didn't smell the slightest hint of garlic that sometimes is a problem with plastic containers. Ready-Wrap containers can be purchased from all leading supermarkets nationwide, with prices ranging from Php 21.75 to Php 127.75. For more detailed product information, you may visit www.readywrap.com.ph. As I was thinking about this month's KCC challenge hosted by Abigail of My Nappytales and Marni of Kensington Kitchen, I couldn't help it that the first thing that calls my first love to mind is dessert, and a particularly cold one at that. As a child I practically could live off ice cream and frozen yogurt (oh yes, BTIC has been giving me love for more than a decade), and the first time I had their strawberry and pistachio flavors, the world stopped. Of course my dad hates going to the mall, and my parents instead took us to our weekly out-of-town trips somewhere else, so getting that sweet, tongue-numbing dessert is a limited treat for a child in her early primary school. And so, now that I am no longer the youngest and my spoiled-brat rights were passed on to my brothers, I get to make my own dessert! After realizing that I forgot to freeze the bowl for the ice cream maker, sorbet seems to be the better option. 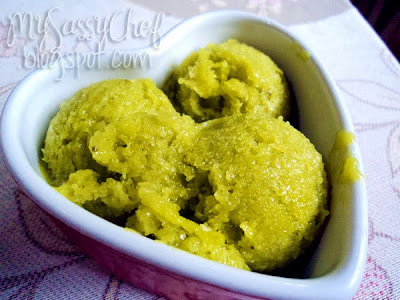 The silky texture of avocados with the light and zesty flavor of the calamansi makes this sorbet the perfect pick-me-up anytime of the day. Make the syrup by dissolving the sugar in water, then place in a saucepan together with the calamansi zest. Boil in low to medium heat without stirring until the sugar is dissolved completely and mixture thickens a bit (do not let the color change, lower the heat if needed). Let cool. Take the avocado flesh and scoop them into the blender / food processor. Add the syrup and blend until smooth. 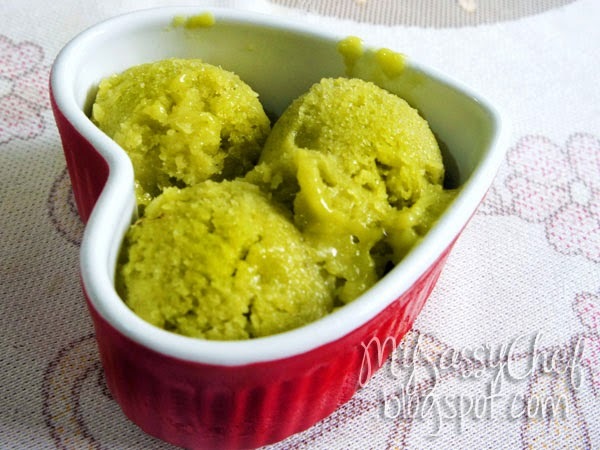 Transfer to a freezer-proof container and freeze, breaking up clumps of ice and stirring with a fork every 30 minutes or so until everything is turned into a fine crystallized treat. 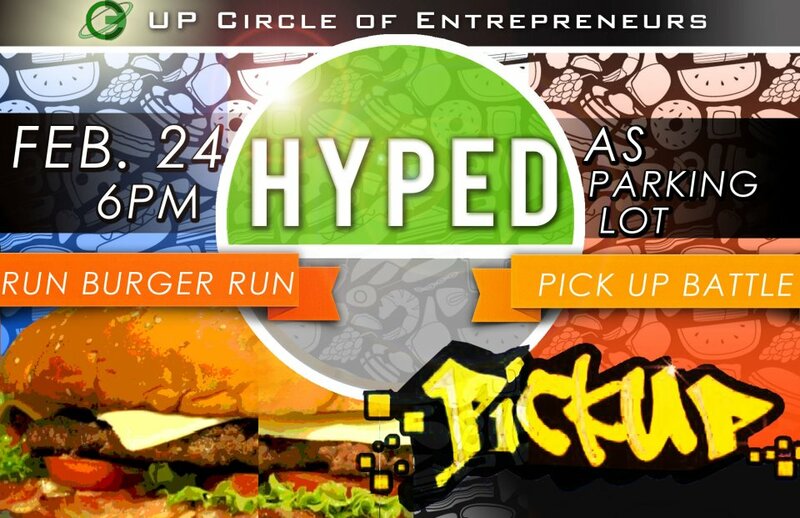 Sharing this with my fellow KCC foodies!